BREAKING: Glennon Doyle, Abby Wambach to march alongside CIW at Time’s Up Wendy’s March! Farmworkers, their families, and thousands of consumer allies will be joined on March 15th by New York Times bestselling author and U.S. Women’s Soccer legend! Sometimes two things come together for the first time and the fit is just right, like it had always been meant to be. 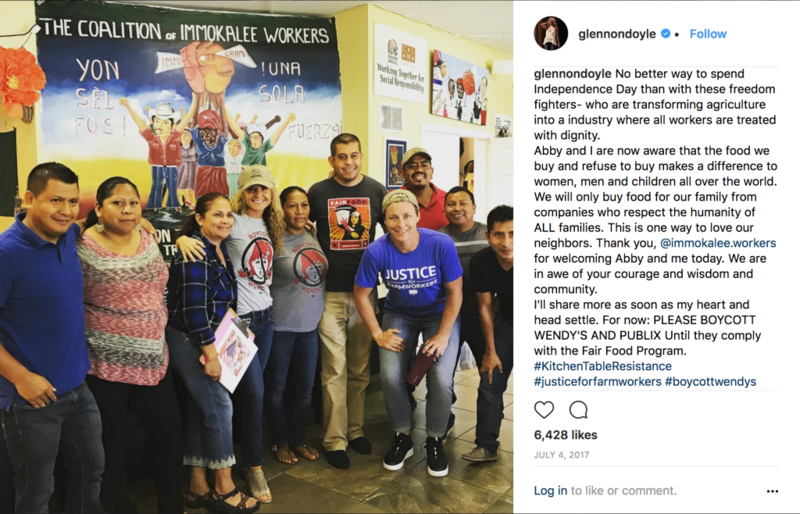 That’s what happened in Immokalee last summer when longtime leaders of the Coalition of Immokalee Workers met their new neighbors from Naples, New York Times bestselling author, Glennon Doyle, and U.S. Women’s Soccer superstar, Abby Wambach. And that was just the beginning. 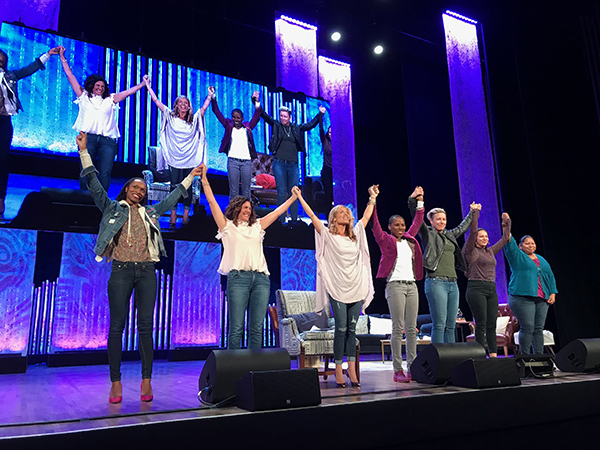 Just a few months later, Glennon and Abby invited the CIW’s own Lupe Gonzalo to join them on the whirlwind, cross-country Together Live Tour, addressing audiences of thousands from San José, CA, to Philadelphia, PA. Even then, long before the announcement of the upcoming Freedom Fast and Time’s Up Wendy’s March, Abby and Glennon — along with a host of other powerful, and very funny, women (see the photo at the top of the post for a sense of the tour) — stood beside Lupe on some of the country’s most historic stages to demand an end to sexual violence and other human rights abuses in this country’s fields. Today, we are honored to announce that Glennon and Abby will be joining Lupe, her fellow CIW members, and the thousands of people of conscience gathering in New York next month for the Time’s Up Wendy’s March. They will be join us to speak up, loud and clear, in support of farmworker women and their fundamental right to work free of fear and sexual violence, and to call out Wendy’s Board Chair Nelson Peltz, who has the power to end sexual harassment and assault in Wendy’s supply chain by joining the leading program combatting workplace sexual abuse, the Fair Food Program, but refuses to do so. Abraham Lincoln Brigade Archives honors CIW with its 2018 Human Rights Award!